This free, printable business plan can help hair stylists and beauticians within the hair salon sector increase revenue and maximize the impact of location, environment and service. COMPANY NAME is a full-service beauty salon dedicated to consistently providing high customer satisfaction by rendering excellent service, quality products, and furnishing an enjoyable atmosphere at an acceptable price/value relationship. The company will also maintain a friendly, fair, and creative work environment, which respects diversity, ideas, and hard work. Mission: To supply services and products that enhances our clients' physical appearance and mental relaxation. To achieve the company's objectives, COMPANY NAME is seeking grant funding in the amount of $150,000. This grant will be attained and used to pay for building expenses, equipment, supplies and inventory of the salon located in [CITY], [STATE]. • The creation of a unique, upscale, innovative environment that will differentiate COMPANY NAME from other local beauty salons. • Educating the community on what the company has to offer. • The formation of an environment that will bring people together in a common forum. • Excellent service and beauty retail items at a reasonable price. COMPANY NAME aims to offer excellent and superior service at all times. Close personal attention to customer is essential to providing a quality experience for customers; therefore, adequate personnel will be hired to ensure each customer has the proper attention in the COMPANY NAME salon. • Location: providing an easily accessible location for customers. • Environment: providing an environment conducive to giving relaxing and professional service. • Convenience: offering clients a wide range of services in one setting, and extended business hours. • Reputation: reputation of the owner and other "beauticians" as providing superior personal service. COMPANY NAME will, upon commencement of operations, sell a wide range of beauty services and products. The company will provide quality hair services, along with top lines of beauty products. What will set COMPANY NAME apart from the competition is the company's commitment to providing all of these services in one convenient location. 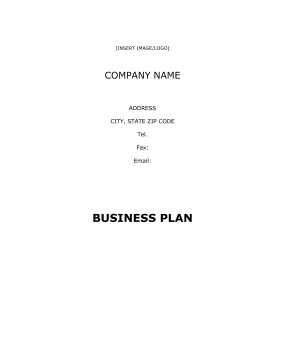 COMPANY NAME is a sole proprietorship registered DBA by owner OWNER'S NAME in [CITY], [STATE]. Some thought has been given to incorporating COMPANY NAME, but a decision has not yet been reached. • Hair: cuts, relaxers, perms, colors, shampoo, conditioning, curling, reconstructing, weaving, and waving. • Skin Care: European facials and body waxing.